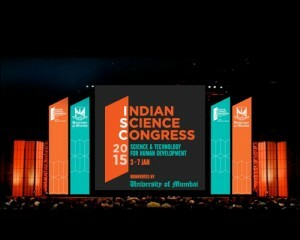 Prof. Ganesh Pandey delivered lecture on “Complex Natural Product Structures – A driving force for Innovations in organic chemistry” in 102nd Indian Science Congress, 3rd to 7th January, 2015, University of Mumbai . 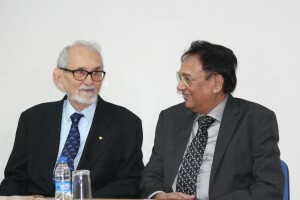 Nobel laureate Prof. Robert F. Curl visited CBMR on December 13th, 2014. Prof. Ganesh Pandey delivered lecture on “Organic Chemistry: A Science of Art, Creativity, Imagination and Human Behaviour” in JNOST, 4– 6th December,2014, in IIT Madras. Prof. C.L. 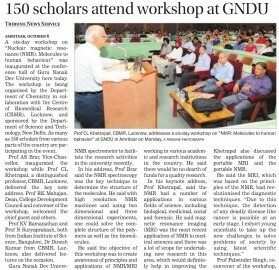 Khetrapal delivered the key note address in a six- day workshop on “Nuclear Magnetic resonance (NMR): Molecules to human Behaviour”, at Guru Nanak Dev University (GNDU), Amritsar, on October 6, 2014. Prof. Saumen Hajra has been elected to the “Fellowship of the National Academy of Sciences” (FNASc), India in 2014.